Jayalalithaa Jayaram, an Indian actress-turned-politician, was a six-time chief minister of Tamil Nadu. She was also the General Secretary of the All India Anna Dravida Munnetra Kazhagam (AIADMK) party. She was sworn-in as the chief minister for a record sixth term on 23 May 2016. Jayalalithaa died in office on December 5, 2016 at the age of 68 years after suffering from a major cardiac arrest. She held the distinction for being the second female Chief Minister of Tamil Nadu. Her followers fondly refer to her as "Amma", meaning mother, and "Puratchi Thalaivi", meaning revolutionary leader. Jayalalithaa, as she was commonly referred to, was a famous South Indian film star before she joined politics. She had appeared as a lead actress in various films in Tamil, Kannada and Telugu languages. She was elected as a member of the Rajya Sabha in 1984 and served in this post till 1989. Tamil Nadu. She also shares the record of holding the chief ministerial position five times with DMK president M. Karunanidhi. Her followers fondly call her “Amma”, meaning mother, and "Puratchi Thalaivi", meaning revolutionary leader. Jayalalitha, as she is commonly referred to, was a famous South Indian film star before she joined politics. She had appeared as a lead actress in various films in Tamil, Kannada and Telugu languages. Jayalalitha was elected as a member of the Rajya Sabha in 1984 and served in this post till 1989. Jayalalithaa was born in Mysore (now in the state of Karnataka) at a place called Melukote on 24 February 1948. She hailed from a Tamil Iyengar family. Her father Jayaram, a lawyer by profession, passed away when she was just two years old. Consequently, Jayalalitha and her brother Jayakumar had to shift to Bangalore along with their mother. Her mother, Vedavathi, started working in Tamil cinema with the screen name of Sandhya. ‘Jaya’, meaning 'victorious', is a prefix used in the names of Jayalalitha, her brother Jayakumar and many other members of their family. This portrays the family’s association with the Wodeyar Dynasty of Mysore, which dates back to 1880-1920 when Jayalalitha’s grandfather, a surgeon by profession, used to serve the Mysore Kingdom. Jayalalitha completed her schooling from Bishop Cotton Girls' High School, Chennai, and Sacred Heart Matriculation School, also popularly known as Presentation Church Park Convent, in Chennai. She was a very good student and received scholarship for higher studies from the Government of India after completing her matriculation in 1964. However, she took up films shortly after that. Her career saw her working in films of different languages, including English, Hindi, Kannada, Malayalam, Tamil and Telugu. She was a trained Bharatanatyam dancer and had proficiency in other dance forms like Kathak, Mohiniyattam and Manipuri as well. She also lent her voice as singer in some of her films. She had proficiency in English, Hindi, Tamil, Kannada, Telugu and Malayalam. Her brother, Jayakumar, passed away in the early 1990s. Jayalalitha remained unmarried. Jayaram Jayalalitha was acquitted in the infamous 18-year-old disproportionate assets (amounting to Rs. 66.65 crore) and corruption case by the Karnataka High Court on 11 May, 2015. A trial court had convicted and sentenced her to four years of jail as well as a fine of Rs. 100 crore on 27 September 2014. Jayalalitha filed an appeal challenging the decision in the Karnataka High Court. These charges were held “not sustainable” by the special bench of the Karnataka High Court. Earlier, the five-time Chief Minister of Tamil Nadu was held guilty by a special court in Bangalore in a disproportionate assets case and had to vacate her post as a consequence. The charges were levelled by Dr. Subramanian Swamy in 1996. She was convicted under IPC 109 and 120 (b) along with 13 of the Prevention of Corruption Act, 1988. Her first film, 'Epistle', was in English language and released in 1961. In 1964, under the direction of B.R. Panthulu, she made her debut in Kannada film 'Chinnada Gombe' as the lead actress. In 1965, she made her debut in Tamil film 'Vennira Aadai', which was directed by C.V. Sridhar. Jayalalitha was the first heroine in Tamil films in the mid-1960s to appear in short-sleeved dresses, skirts, gowns and woolen suits. In 1966, she made her debut in the Telugu film 'Manushulu Mamathalu'. Jayalalitha acted opposite Shivaji Ganesan in the film 'Pattikada Pattanama' in 1972, which won the National Film Award for Best Feature Film in Tamil. In 1973, she received three Filmfare Awards for Best Actress for her performance in the films 'Pattikada Pattanama', 'Suryakanthi' and 'Sri Krishna Satya'. The first Tamil film that India submitted for the Academy Awards in the category 'Best Foreign Language Film' was 'Deiva Magan'. It featured her and Sivaji Ganesan. The 1960s and 1970s saw a number of successful films pairing her and M.R. Ramachandran. 'Izzat', one of her notable Hindi films, saw her paired opposite Dharmendra. In 1982, Jayalalitha became a member of the AIADMK, a party founded by M.G. 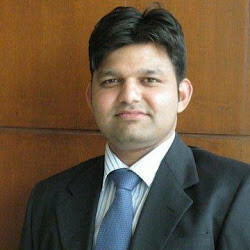 Ramachandran. It marked her entry into politics. She gave her first public speech, Pennin Perumai (the Pride of Women), at the conference of the party that year. February 1983 for the party as a candidate in the by-election from the Tiruchendur Assembly Constituency. Jayalalitha was elected for the first time as a member of the Rajya Sabha in 1984 and she retained the seat till 1989. In 1984, M.G.R. fell ill and moved to the U.S.A to undergo medical treatment. In his absence, Jayalalitha came to the forefront during the elections to the Lok Sabha and the Legislative Assembly in Tamil Nadu in December 1984. That year, the alliance of Congress (I) and AIADMK secured a massive victory. Puratchi Thalaivar M.G.R. expired in 1987, after which the AIADMK was split into two parties. The election symbol of the party, "Two Leaves", was frozen by the Election Commission of India. Jayalalitha was elected as a member of Tamil Nadu Legislative Assembly in 1989 from the Bodinayakkanur constituency. Jayalalitha was the first lady to become the Leader of the Opposition in the Legislative Assembly of Tamil Nadu. The two factions of the party reunited in February 1989 under the leadership of Jayalalitha, who was unanimously elected as the General Secretary of the united AIADMK. The election symbol of the AIADMK party, 'Two Leaves', was restored by her in 1989. Jayalalitha directed the Congress (I) and AIADMK alliance to a historic victory in the 1989 General Elections to the Lok Sabha in Puducherry and Tamil Nadu. Under her leadership, the AIADMK secured victories in all the subsequent by-elections from the constituencies of Peranamallur, Madurai East and Marungapuri to the Tamil Nadu Legislative Assembly. A landslide victory was secured by Jayalalitha in the Tamil Nadu Legislative Assembly elections held in 1991, when the party and its alliance won 225 out of the total 234 seats. She contested from two constituencies, Kangeyam and Bargur, and won both the seats comprehensively. On 24 June 1991, she became the youngest ever and the second female Chief Minister of Tamil Nadu. She held the position till 12 May 1996. She swept the 1991 General Elections by securing a complete victory for the AIADMK and its alliance partner INC in the 40 Lok Sabha constituencies of Puducherry and Tamil Nadu, thus creating history. The 1998 general election of the Lok Sabha saw the AIADMK and its alliance securing 30 out of 40 seats. The 2001 Tamil Nadu Legislative Assembly elections saw her leading the alliance to a win of 195 seats out of the 234 and her party, the AIADMK, alone secured 132 seats. In February 2002, she was elected from the constituency of Andipatti. 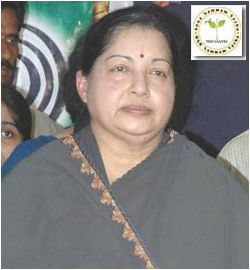 She remained the Chief Minister of Tamil Nadu from 2 March 2002 to 12 May 2006. The AIADMK alliance won 69 seats in the 2006 Legislative Assembly elections and Jayalalitha served as the Leader of Opposition. Again in the 2011 Legislative Assembly elections in Tamil Nadu, the AIADMK and its allies bounced back, winning 203 seats out of 234, with the AIADMK securing 150 seats on its own. The new government was formed on 16 May 2011 and Jayalalitha became the Chief Minister of Tamil Nadu for the fourth time. Jayaram Jayalalitha had to step down from her post of the Chief Minister of Tamil Nadu in September 2014 when a trial court in Karnataka held her guilty in an 18-year-old disproportionate assets (amounting to Rs. 66.65 crore) and corruption case. The court had sentenced her to a four-year jail term with a fine of Rs. 100 crore, but she challenged this verdict in Karnataka High Court. On 11 May 2015, the Karnataka High Court acquitted Jayalalitha in the Disproportionate Assets case. J. Jayalalitha was sworn-in as the Chief Minister of Tamil Nadu for a record-equalling fifth time on 23 May 2015. On 25 April 2016, she filed her nomination papers in R. K. Nagar ahead of the Tamil Nadu Assembly elections. She created a history of sorts by becoming the first chief minister since 1989 to return to power for a second consecutive term. She took oath as the chief minister of Tamil Nadu for a record sixth time on 23 May 2016. In 1972, the Government of Tamil Nadu honoured her with the Kalaimamani Award. A degree of Doctor of Literature (D.Litt.) was conferred upon her by the University of Madras in 1991. A degree of Doctor of Science was conferred upon her by Dr. M.G.R. Medical University in 1992. A degree of Doctor of Letters was conferred upon her by Madurai Kamaraj University in 1993. A degree of Doctor of Science was given to her by Tamil Nadu Agricultural University in 2003. A degree of Doctor of Letters (Honoris causa) was conferred upon her by Bharathidasan University in 2003. She was invited by the House of Lords, London, in 2004 to receive the "Woman Politician of the Decade" Award from the Asian Guild Awards. The Golden Star of Honour and Dignity Award was conferred upon her in 2004 by the International Human Rights Defence Committee recognising her services in protecting the weaker section of society and in the field of gender equality in Tamil Nadu and India. In 2011, a resolution was passed by the New Jersey General Assembly to appreciate her exemplary excellence and dedication as a leader and in service to the people of Tamil Nadu.